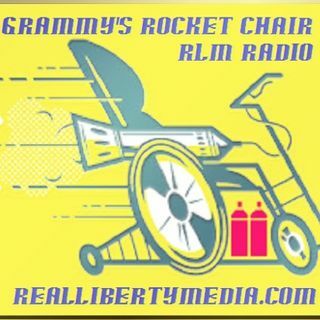 2018-11-30 Grammy's Rocket Chair and it's FREEKER Friday! "Actually, We are Currently Living in the Product of "Internal Anarchy" which means that WE have No (or Very Little) Internal Control.... and That is Perpetuated by the BeLIEf that an External Control is ... See More Necessary in order for "Society" to Function in a Civil-ized Manner." WE a.k.a. "Society" NEEDS to have a Major Shift in it's Mindset....... People Need to Learn to Control Themselves and Behave in accordance with #NaturalLaw...... then there will be NO NEED for #ExternalAuthority! That Means, No More of the Hypocrisy of "I can Do a Thing/Behave in a Certain Way/Freely Express My Opinion but YOU Cannot!" If it's OK for YOU to Do or Say something, it's OK for EVERYONE Else as well! If it's NOT OK for YOU to Do or Say Something, then it's NOT OK for ANYONE Else as well...... and that Includes Organizations like Businesses & Guberment! If an Individual Does Not Have "The Right" to Do Something, then The "Creation" of a Group of Individuals, as in Religions or Guberments or Corporations, Also DOES NOT Have That Right! You see, You Need to Understand that The ONLY Thing in this Reality that You Can (and Should) have Control Over is YOURSELF! The sooner people Get That and start behaving in accordance with that understanding, the sooner We ALL can Build a World without a Designated External Government!